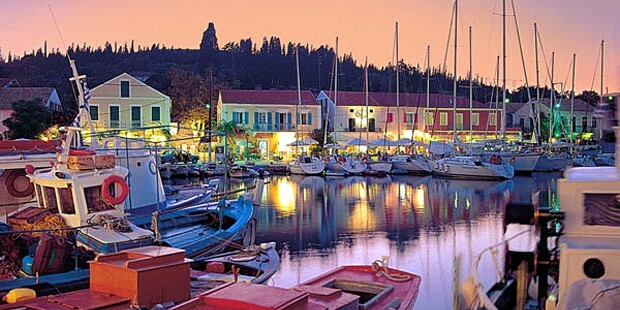 From the moment I set foot on Kefalonia I knew it was going to be a love affair for life. 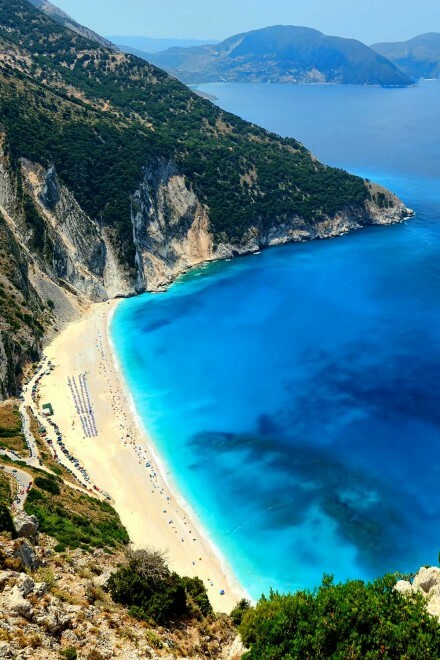 Not because Hollywood had immortalised the raw beauty of this little island in Captain ­Corelli’s Mandolin. Not because in summer it’s the Go To place for the sailing set. The pull of Kefalonia is deeper and more visceral. Every view, every smell, every sound infuses all-comers with an overwhelming sense of belonging. And it’s seductive. I’ve been to many Greek islands, and fantastic as they were, I knew they were places to enjoy for the moment – not somewhere I’d long to return to year after year. But from the start Kefalonia gouged out a little place in my soul and I knew I’d need to go back. And so I have. This was my third visit to Fiskardo, a small but sophisticated port in the north of the island. I haven’t written about it before because there’s a part of me that wanted to keep its magic a secret. But it’s way too late for that. On our first day back The Husband and I walked down the main street and kept bumping into locals we’d met on previous visits – the restaurant owners, the bar staff, the cafe owners. We saw Nikos, the fisherman, who’d asked The Husband to go squid fishing with him ten minutes after they met over an espresso in the port. And we waved to the staff in Melina’s cafe which sells billowy orange-scented baklava the like of which you’ve never tasted. It felt like coming home – to family. We headed straight for the supermarket to stock up on their two-litre (plastic) bottles of local wine which cost just 2 euros. And it’s as good as any £8 bottle of Sauvignon Blanc you get here. First we had a few days at the amazing Emelisse Hotel (naughty, I know but I hid the wine in their drinks fridge) which overlooks the Ionian Sea and is enveloped by lush green cedar and cypress trees. This hotel, which has already been voted among the 100 best in Europe, is a glorious mixture of luxury, modernity and simplicity – tiled floors, teak wood furniture, trendy sofas. The suites are stylish. Some even have four-posters and their own little plunge pools. It’s trendy but not in a scary way. The terraces, which run the full length of the hotel, all have breathtaking views over the turquoise green waters where, in the distance, you can see the islands of Ithaca and Lefka. he hotel gardens are lush and green and full of sweet-scented roses. And at night when you’re staggering back to the room after a few too many vinos the paths are all lit with hundreds of candle lanterns to stop you falling into those beautiful, but thorny roses. The pool is HUGE and if you’re a ‘keep-fitter ‘ you can play squash and tennis here. There are also relaxing yoga classes for those who just want to chillax. If cruising is your thing you can hire a private boat (from around £45) or go on an organised excursion to other islands. Most of Fiskardo’s beaches are pebbly but it doesn’t matter. The deep crystal clear water makes up for the lack of sand and there are scores of coves along the shoreline where you can spend whole days without seeing another soul. A stone’s throw from the Emelisse is Emblisi beach and every day the gentle strains of Frank Sinatra and other 50s cocktail music floats up on the breeze. The guy who runs a little refreshment van there wanted to create an atmosphere that feels like you’ve stepped back in time. And he has, which is why this beach is loved by locals as well as tourists. While we were at the hotel, The Husband did his back in (probably something to do with diving off 30ft cliffs). And the hotel staff were incredible. The manager, Haris Tsimaras, told the physio at their (amazing) spa to take care of him – and boy, he did. But there was no more cliff-diving. The hotel’s food was divine, from the lunchtime poolside kebabs to the incredible breakfast buffet with all the usual stuff plus local delicacies – pastries, little cheese and spinach pies, divine home-made croissants and buckets of local yoghurt and jugs full of the island’s famous honey. If you don’t fancy staying in a hotel we also stayed in a villa for a few days organised by Greek Island Retreats. It’s owned by the lovely Panos, who was born on the island, and his British partner Bob. It’s a newish company formed because the guys wanted to offer private villa renters a more personal service. Panos and Bob have some of the loveliest properties in the north of the island and have people to cater for your every need. They can organise car and boat hire, baby-sitting, bookings for special dinners. They’ll sort out almost anything except flights, though they will find the best deals and send you the link. Panos’ family own restaurants and hotels in the area and he lives here all year round so he knows all there is to know about the island. And nothing is too much trouble. Yes, the rich and famous moor up in Fiskardo’s harbour in the summer, but everyone mixes in. And multi-millionaire yacht owners tend not to be kicking up the traces at 3am. The town’s best restaurant is Tassia’s. The lady herself is a local legend, as Tom Cruise found out when he dropped in and found as many people making a fuss of Tassia as they were of him. Jon Bon Jovi’s been there, as has Giorgio Armani. If you’re on for a bit of exploring, the island has lots of lovely beaches, all accessible by car. One of our favourites is a tiny one called Alaties with one small taverna that serves incredible food and lovely prosecco. Agios beach is nearby and to the south of Fiskardo there’s Fokis beach which sits in a majestic rocky cove. Don’t miss the blue (Melissani) caves near Sami. A boatman takes you in and when the sun’s rays pierce the holes in the cave roof and hit the water the whole place lights up with a blinding electric blue light. So if you get there this summer, give them all my love and tell them I’ll see them, soon. And don’t forget to try that orange baklava.